Are you interested in adding an ancient architectural landscaping project to your home? One that has withstood the test of time for thousands of years is affordable, looks great, and also extremely functional? Well, then you should consider installing a gabion wall onto your property. If you’re unfamiliar with what these walls are, or are interested in learning more, then keep reading. 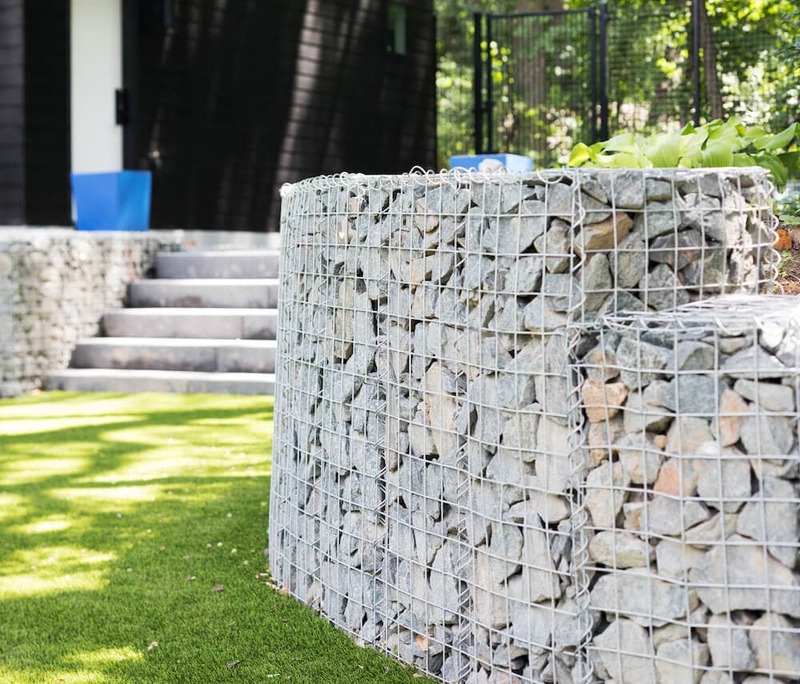 Here is our definitive breakdown of gabion walls and why your home needs one today. Gabion from the Italian word gabbione meaning “big cage.” And that’s essentially what these walls are – giant cages that hold rocks, concrete, sand, and soil. These walls were created for civil engineering purposes to reduce the likelihood of erosion on roads, military applications, and homes. In fact, Leonardo da Vinci designed a specific type of gabion called a “Corbeille Leonard” (i.e. Leonardo basket). He used this gabion for the foundations of the San Marco Castle in Milan. We highly encourage that you name your gabion walls after yourself, just like Mr. da Vinci. Sustainable & eco-friendly: According to Maccaferri, analysis of the carbon footprint for these types of structures can reduce CO2 emissions by up to 80% when compared to a concrete retaining wall of the same length and height. Easy installation: Gabion walls are extremely simple to put together, which makes it a great project to do on your own. Plus, the materials you’ll use won’t cost much, and if you do decide to outsource the project to a contractor, labor will be fairly inexpensive. Curb appeal: At S9, we love gabion walls not only because they are sustainable, but because they look fantastic as well. Durable: It’s not often you’ll install a landscaping project where its effectiveness may increase over time. Gardenista explains that this is due to silt and vegetation filling the voidings within the structure to reinforce it. Customizable: Depending on your home and the layout of your property, you can have many different variations of a gabion wall. So, no matter where you want to build yours, you should be able to do so with relative ease. Gabion walls can also make for prime real estate for small critters. So, depending on how you feel about little animals living on your property, this can either be a pro or a con. Some folks will welcome the opportunity to create an area where nature and their homes can mix without conflict, while others aren’t too fond of the idea. This isn’t to say your gabion wall will become a breeding ground for animals, but the occasional garter snake, toad, or mouse may be seen, depending on where you live. The structure of a gabion lends itself nicely for all sorts of uses. Most notably, you’ll see plenty of architects use them for benches, fencing, pond surrounds, and even stair rails. When it comes to a gabion, your only limit is your creativity. At Sustainable 9, we always look for new, imaginative ways to create bold, fun, and exciting landscaping and architectural structures. 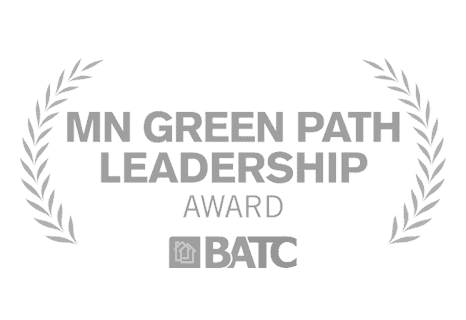 As we continue to build more and more homes, it’s essential that we continue to look for new ways to limit the carbon footprint of each house. One of the best things about adding sustainable features to your home is that they will save you money in the long run. In some instances, like the gabion wall, it will even save you money right off the bat. As builders and designers, we must continue to push the boundaries of what is possible when it comes to building genuinely sustainable homes. If you’re interested in making your next home one that is not only beneficial to your health, but also for the environment around you, then reach out to us today! We’re obsessed with combining modern design with functionality and sustainability. This trio equates to some truly beautiful homes. With a passionate team of like-minded designers and project managers, we promise that you’ll enjoy working with us just as much as you like your new eco-friendly and modern home!